OUR PRODUCT(page 1) - DrK SKINCARE PRODUCT by agent hanny abdullah This side is about beauty product DrK skincare. The top product beauty care in market now. PERTAMA : Untuk menegang kulit wajah. KEDUA : Menutup liang-liang pori yang terbuka di sebabkan perpeluhan. KETIGA : Melembapkan dan melembutkan kulit wajah. Gold Series is our prime skincare that suits all skin types. 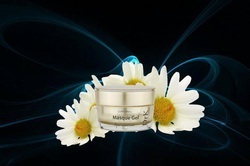 It is specially formulated to lighten the skin and brighten your skin tone while evening it out. It also helps to reduce pore size, diminish fine lines and reduce the early visibility of age spots. To totally remove scars is not possible but our Gold Series will help reduce the acne scars and the dark sport , your skin tone will be even and your skin will look healthy and glowing. - Firstly you need to tackle the acne problem with Akne Gradde and Akne Lotion. - apply night and day, but apply the cream many times in the day time. - When the acne is gone , then use the Gold Series Set to reduce the acne scar. This product reduces the appearance and look of scar by improving the texture and tone of the skin. SUITABLE FOR PIMPLES/ACNE PRONE SKIN TYPE. AKNE GRADDE SET COME WITH CLEANSER , TONER AND CREAM. -WASH YOUR FACE WITH CLEANSER AND RINSE WITH WATER. -APPLY TONER WITH DOWNWARDS MOTION USING FACIAL COTTON. -FINALLY APPLY THE CREAM ON AFFECTED AREA ( ON THE PIMPLES/ACNE ) BY RUBBING THE CREAM SLOWLY AND LET THE CREAM ABSORB INTO THE PIMPLES/ ACNE. AKNE LOTION FOR SERIOUS ACNE PROBLEMS, THIS PRODUCT HELP TO KILL THE BACTERIA THAT CAUSES THE ACNE EFFECTIVELY. -AKNE LOTION IS APPLIED BEFORE THE AKNE CREAM , BY USING FACIAL COTTON.